Location-Based Entertainment, eSports, and Edutainment are the next big phenomenons in immersive media & entertainment. The Immersive Media & Entertainment Track during xRS Week 2019 will drive strategy development in Business Models Innovation, Technology Acquisition, and Content Licensing – topics needed to create & execute a disruptive immersive media & entertainment strategy. *Projection based on VR Arcade Summit 2017 figures. The Immersive Media & Entertainment Track during xRS Week 2019 is being produced by Greenlight Insights. A welcome from VR Arcade Summit co-presenter Virtual World Arcade. Greenlight Insights CEO Clifton Dawson provides the big picture and data you need on existing VR Arcades to build your business model before starting your business. Lead investor Michael Yang sits down with SPACES CEO Shiraz Akmal to discuss how location-based VR will change the way consumers engage with entertainment. Network with attendees and speakers. 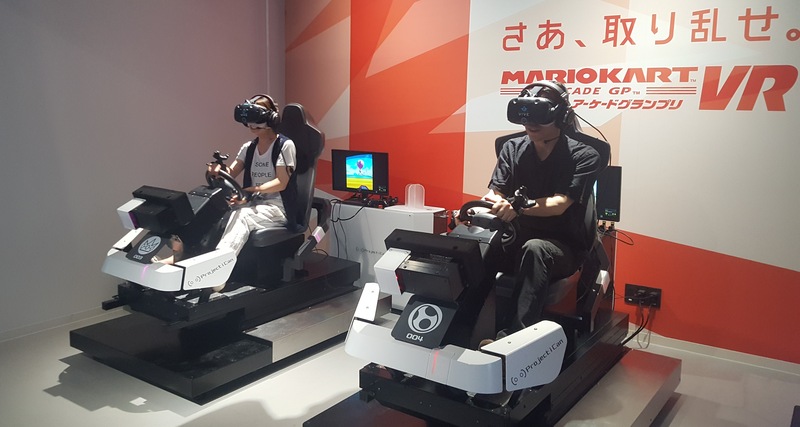 What are the different types of VR Arcades you can open from small to large? What are the capital, skill set, hardware, software, and location requirements to open a successful VR Arcade business? Entertainment lawyers from Sheppard Mulin and Nolan Heimann highlight legal strategies you need to know to succeed in distributing to and operating VR arcades. Demo and talk to location-based solution providers from operators to hardware providers to content studios. Location-based entertainment is a new sector of VR and will require new content. With high-quality and specialty accessories, headsets and controllers, a new level of immersion is possible that isn’t capable in-home. Industry leaders from Survios, Baobab Studios, Lucky Hammers and Subdream Studios will discuss how to create winning content for the LBE sector. Thought leaders from around the world including KDDI, SAM Immersive, Outpost Capital and Greenlight Insights discuss the impact location-based VR will have in different communities and how to best approach opening a VR arcade in an emerging market. Hear from leading vendors and suppliers about the VR Arcade Packages & Solutions to start and grow your VR Arcade business. Join attendees and speakers for an industry networking happy hour.